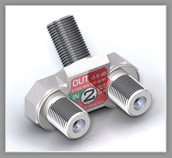 Innovative 2-way splitter with the world's first angle port design. 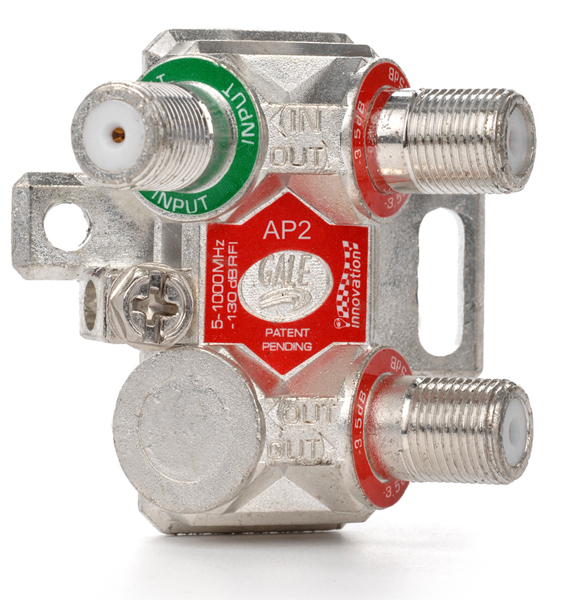 Gale Corporation’s patented high performance angle port splitters are the most installer friendly splitters on the market; designed for easy port access. 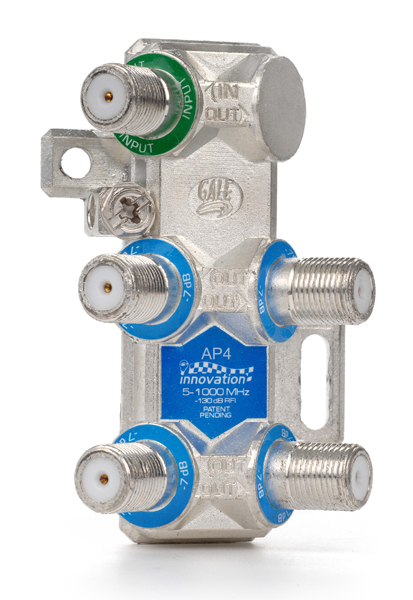 Fully SCTE compliant with 1" port spacing, anti-corrosive nickel plated zinc housings, soldered back plate, integrated ground block and mounting brackets, round center pin siezures, in/out port labels molded into case, unique color-coded port labeling system, and unequaled specifications from 5-1000 MHz. 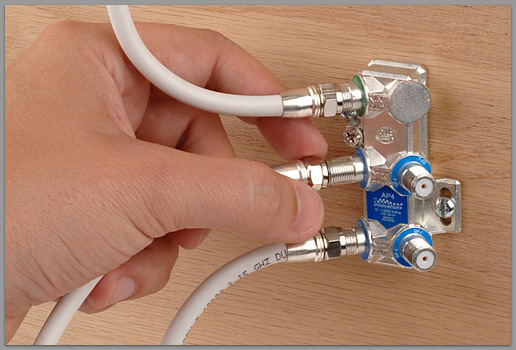 Innovative 3-way splitter with the world's first angle port design. 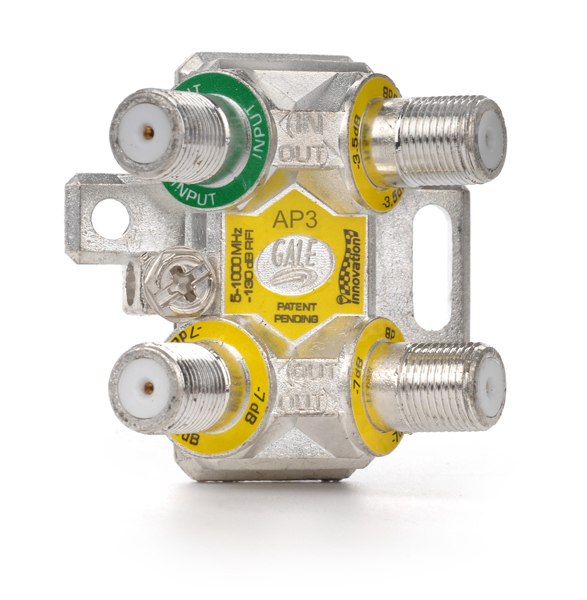 Innovative 4-way splitter with the world's first angle port design.